Asides the beautiful dresses and the well decorated hall in a party, there is one more thing that catches the fancy of many. That one thing many people are always eager to see and you will agree with me that it is the CAKE, especially in events like weddings or birthday parties. Just like every other artist involved in making a party a success, the Baker, also stands out as an important sector of that party because beyond the fact that it unarguably spices up your event, it has a way of defining the party. It feels rather funny that many people seem less interested in how the cake tastes, compared to how it looks, but lovers of good cake, will opine that is not enough for a cake to look beautiful, it has to be equally delicious. Baking as a profession seem to be one of the most unpopular, yet industrious skills in the world today, as many people tend to be more interested in other skills such as fashion designing, make up or hairdressing. Nevertheless, for the few who have delved into the art, they will agree that it is an art for the smart ones. Baking requires a lot of physical and mental effort, from going to the market to get the necessary ingredients, to the mixing of these ingredients, to the baking of the cake itself and finally its icing. All thanks to technology that has made baking less stressful, unlike back in the days when mixing is done manually, which is rather stressful and time taking. Many will agree with me that baking requires more of intellectual effort, especially to create breathtaking designs for the icing of the cakes. Despite these however, people tend to give little regard to this art which encompasses intellectualism. 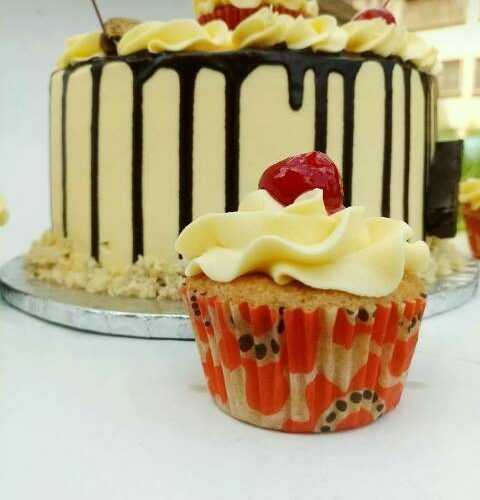 There have been situations in which customers make ridiculous bargain, claiming it doesn’t take so much to bake these cakes, forgetting there is more to the physical effort being put into it. On the other hand, bakers should learn the art of packaging themselves because people are quick to judge by who and what they see. It becomes really discouraging when bakers present themselves especially at parties, looking like one of the servers, mainly because they feel they have little or nothing to do at the party. Bakers should understand that beyond their expertise, value will be weighed by branding. Don’t just bake, Make a PROFILE.